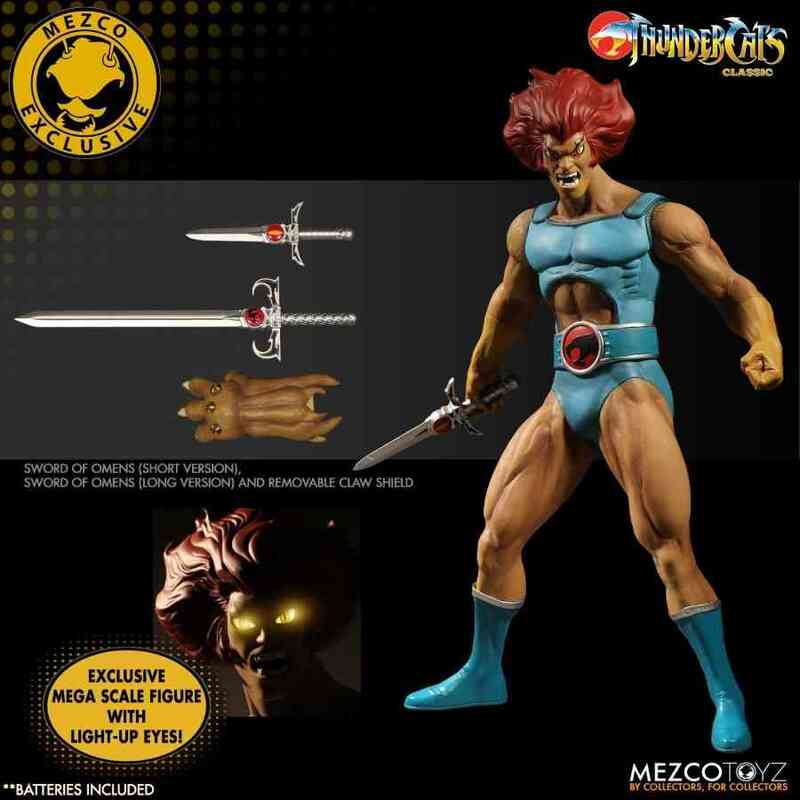 Mezco Toyz 2017 Summer Exclusive Thundercats Lion-O with light up eyes action figure previously available only in the U.S. 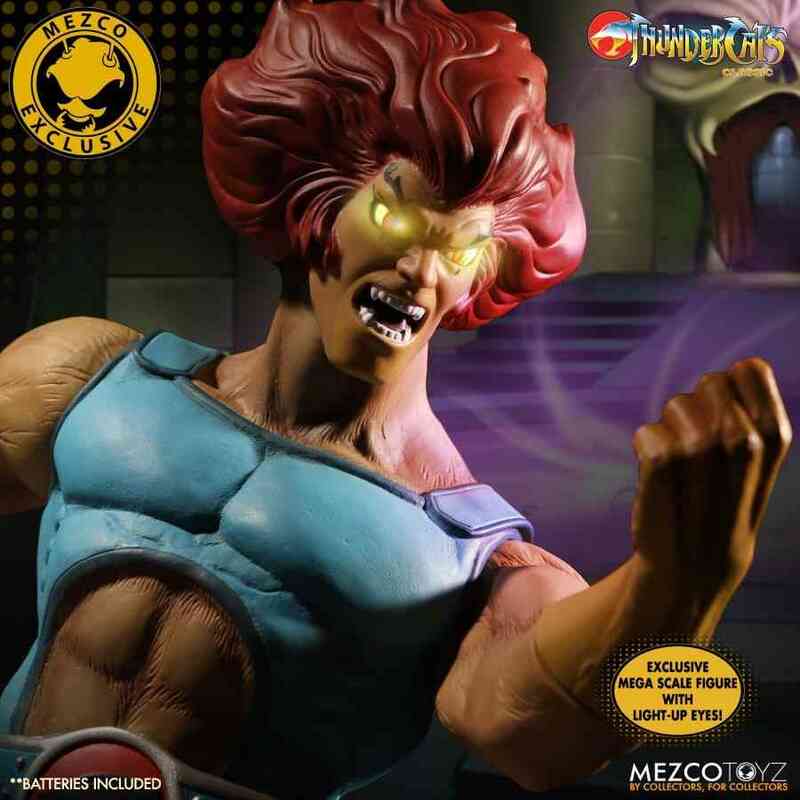 This 2017 Summer Exclusive Lion-O features a light-up element that recreates his fiery glowing eyes as seen in the television series. 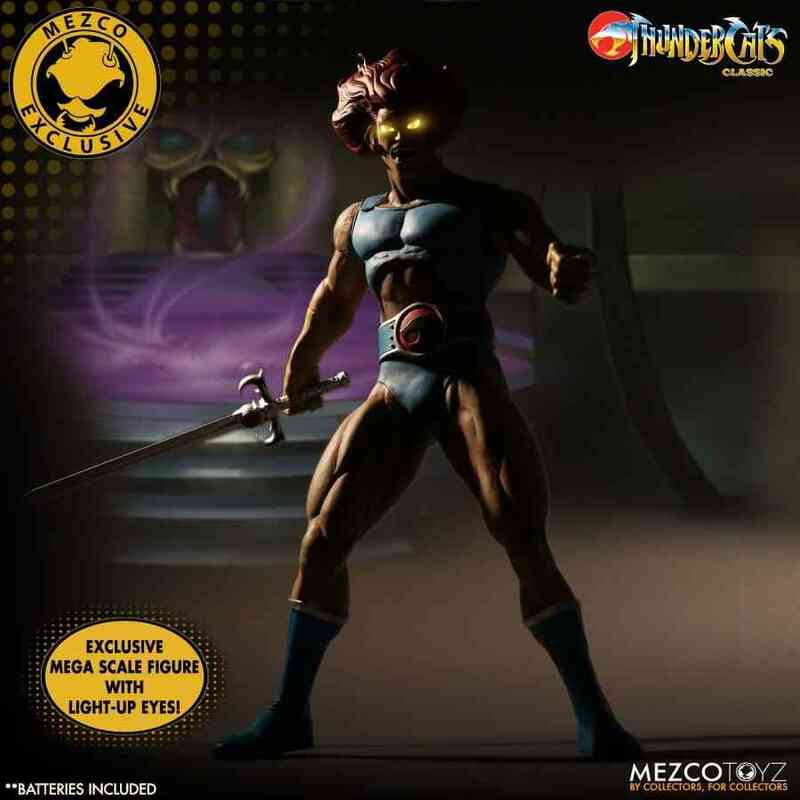 This Summer Exclusive Mega Scale Lion-O Light-Up Eyes Variant was only available in the U.S through the Mezco Toyz website or the Mezco Toyz SDCC booth but now you have the chance to own this exclusive figure so order now while stocks last! Activating the discreet switch hidden on the back of his head causes Lion-O’s eyes to blaze with the Sight Beyond Sight. 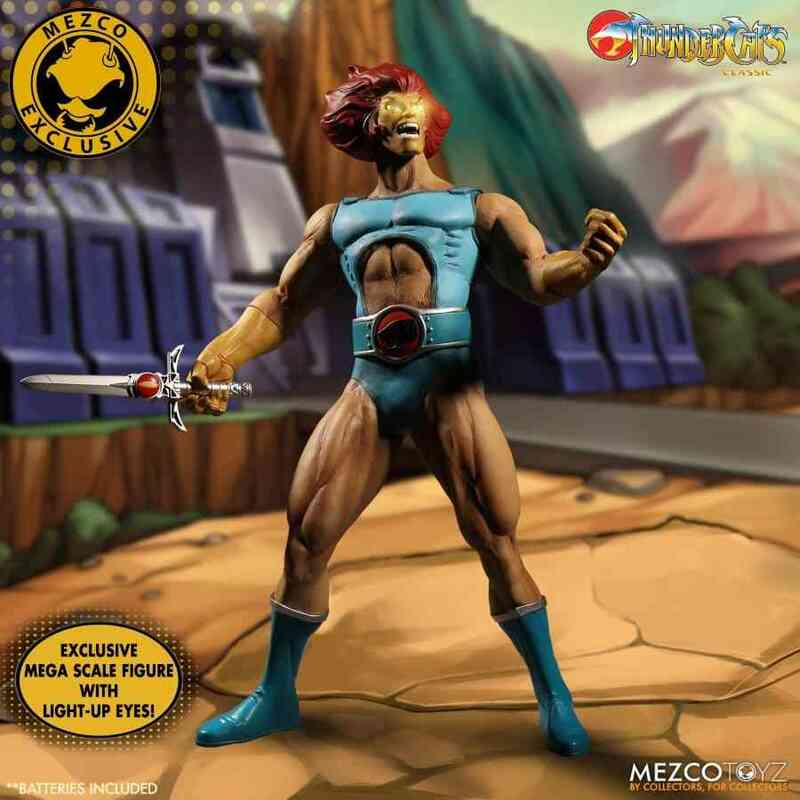 This mega scale figure has been carefully detailed and measures over 14" tall from the top of his head to the soles of his Thunderian boots and featuring 7 points of articulation and perfectly captures not only the iconic look of Lion-O as he appeared in the classic television series, but the essence of Lion-O as he proudly raises the mystic Sword of Omens towards the heavens and roars out "Thundercats, Ho!" 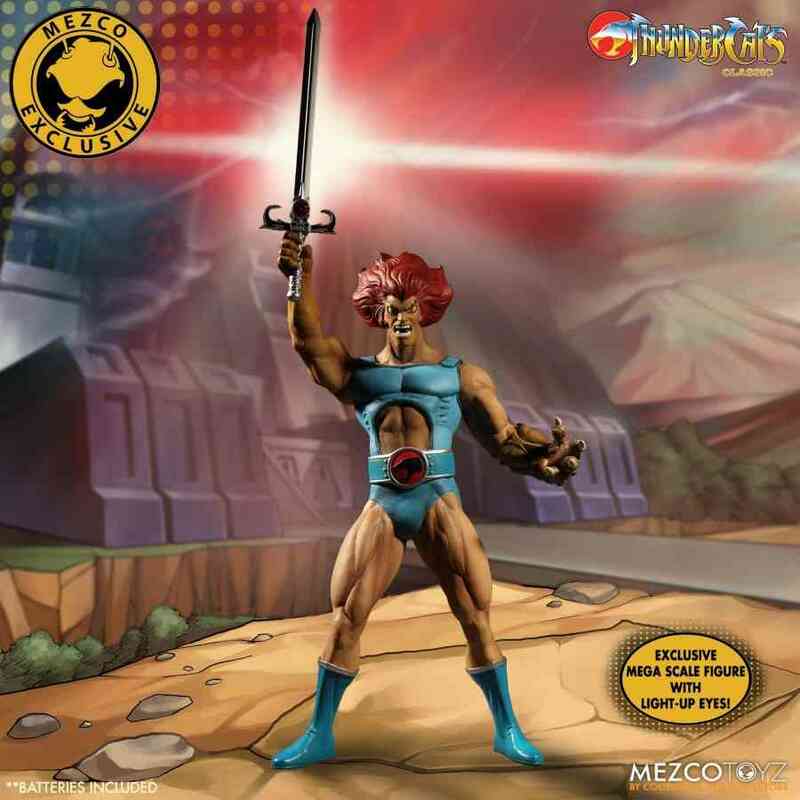 Lion-O comes packed in a collector friendly window box that allows him to watch over Thundera without having to remove him from his package.